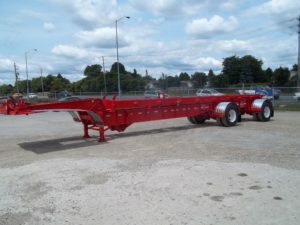 At Tech Trailers we offer a wide variety of repair services to make sure your trailer repair needs are met. A complimentary roll-through inspection will also be performed at the end of each repair which will detail other repairs and things to look out for in the future and keep you compliant with D.O.T. 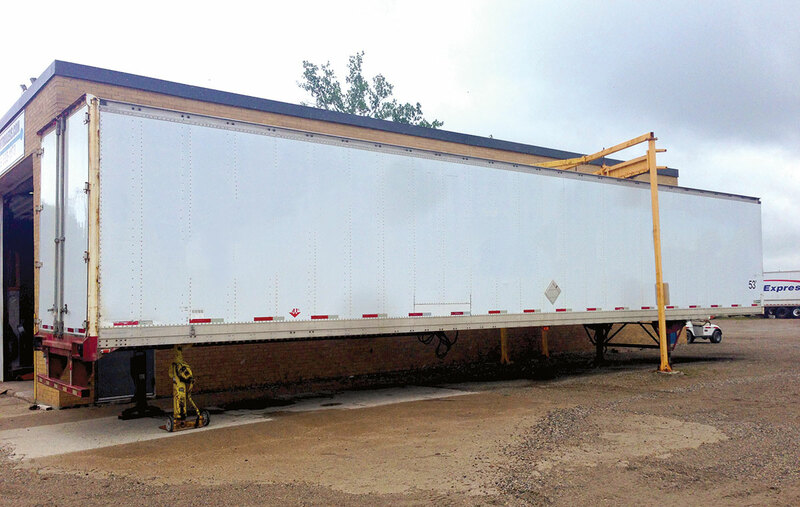 We work on everything from small utility trailers to multi/drop-axle 53 foot flatbeds. 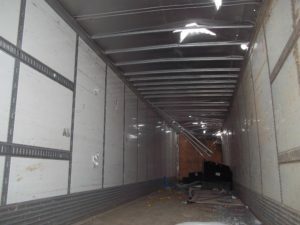 We also work on drop deck, dry van, reefer, curtain side...etc. 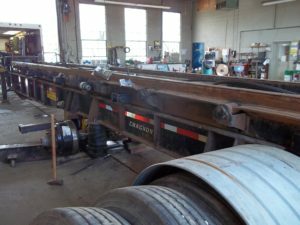 We can perform all kinds of structural repairs, from rebuilding damaged roofs to replacing crossmembers, replacing bogeys, redoing uprights and side panels, repairing collision damage (including mishaps with bridges and overpasses), aluminum structural repairs/welding, repairs to hydraulic systems ...etc. 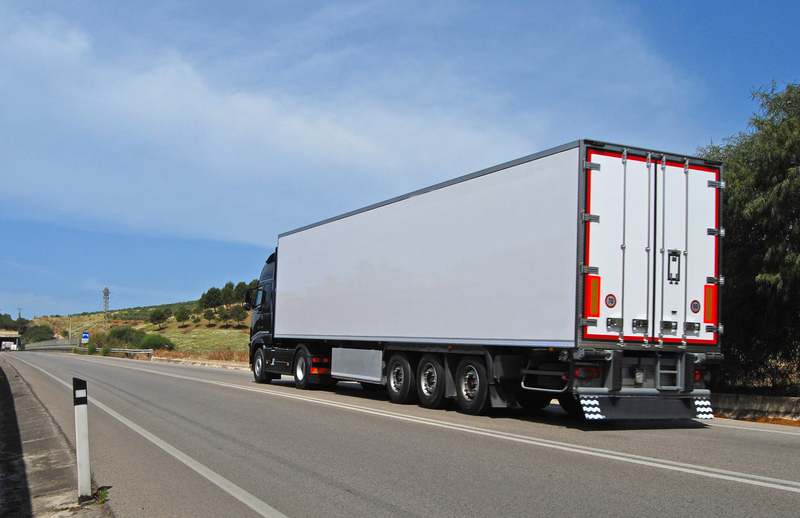 Our trailer repair rates start at $90.00/hr. For our complete prices and all other inquiries contact us. 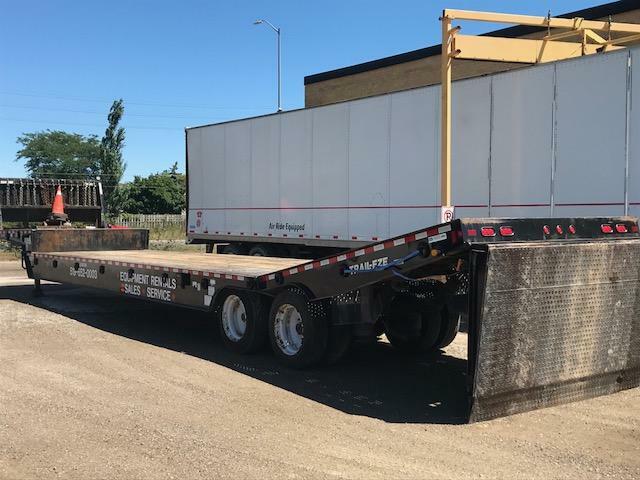 Here is an example of a Before and After job we recently performed on one of our customer's flatbed trailers. After finishing the mechanical and structural repairs required we painted the trailer to make it look as good as new. Our versatile mechanics allow us to take on many different jobs always providing outstanding results. This is actually a project trailer of ours which we have rebuilt. 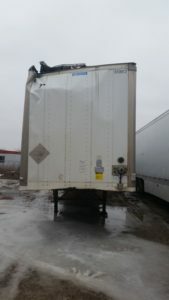 The entire body of the trailer was damaged and required entirely new siding. We have done several jobs like this one for our customers. There is no job too big, or too small for that matter. With our large shop we can take on several large jobs at a time.